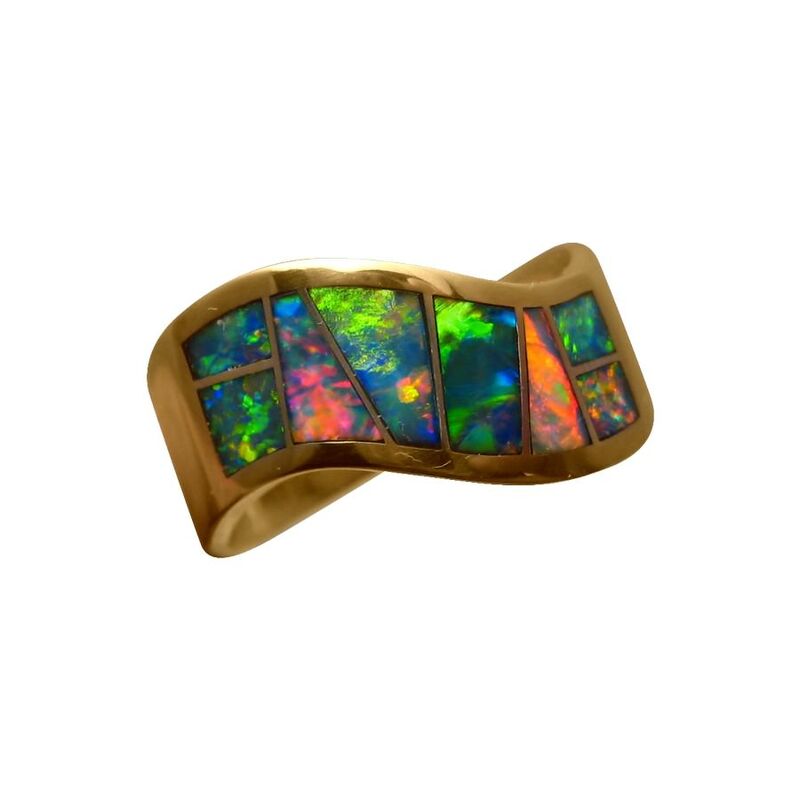 An amazing Opal ring for men in a wide curved band of 14k Gold inlaid with extremely bright and colorful natural opal stones. In stock and ready to ship. 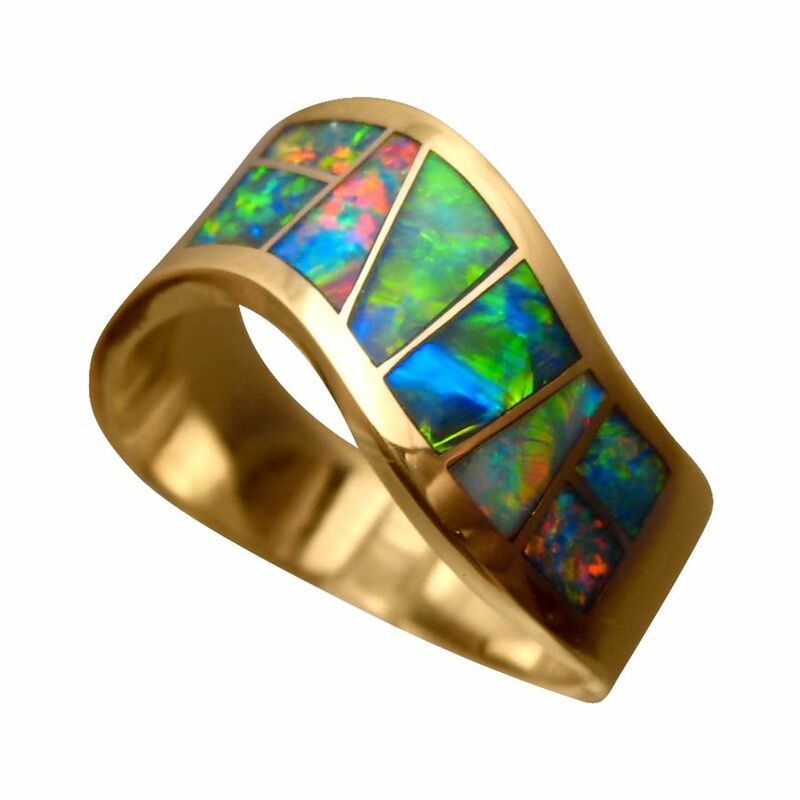 An opal ring for men that is sure to be noticed. 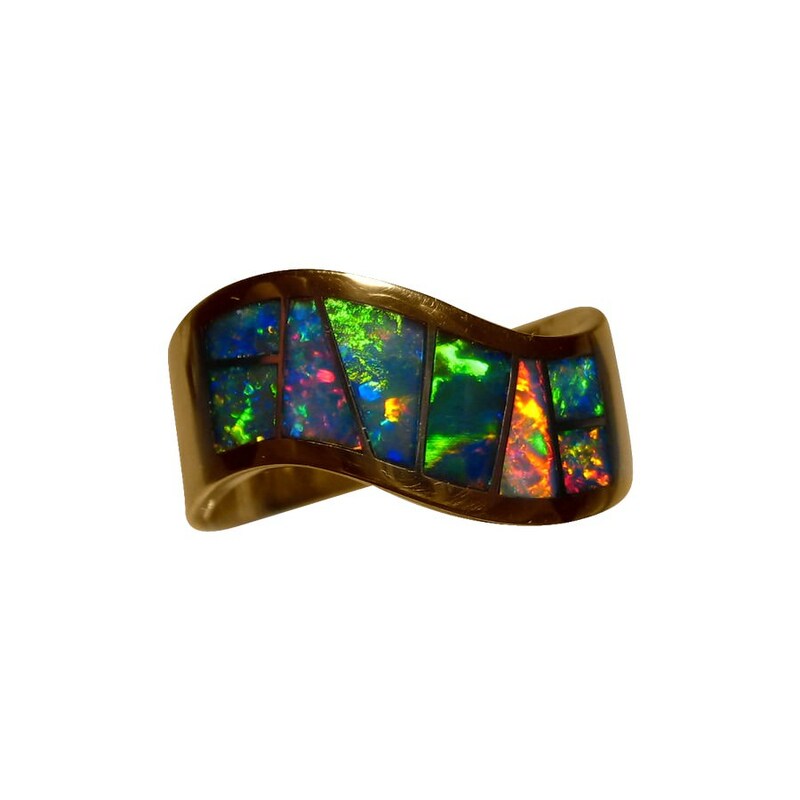 If you prefer standout rather than average, extreme rather than sedate, then this amazing opal ring should be considered. 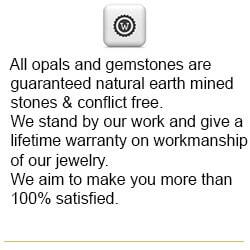 Inlaying Opal involves a skill that takes years to accomplish and using this art in jewelry takes time and concentration. The 14k Gold band in this ring is wide with curves and weighs a substantial 9 grams. It is then inlaid in a non conforming pattern of shapes with natural Australian opal - each made to fit as close as possible to the points, edges and angles. Artwork! A total of eight Gem Grade Lightning Ridge Black Crystal Opals each show very bright colors that can be seen from at least arms length. 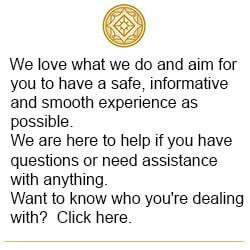 Any blemishes or discoloration you may see are not visible to the naked eye. 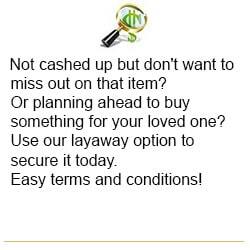 The ring pictured is ready to ship as detailed below however a similar ring can be Made to Order if you need a different ring size or Gold color. 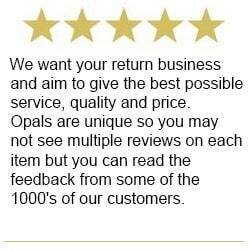 Please allow for varying of shapes depending on the opal size available at the time. 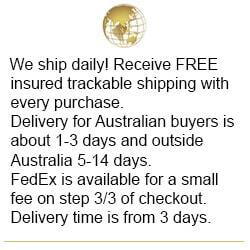 This ring takes a minimum of 10 days to make before photos are provided for your approval to ship. 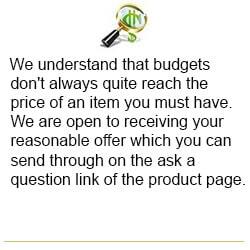 ring arrived in good condition, expedient delivery, nice to deal with!